I have had many cats in my life but it was not until reading The Power Of The Cat by Anne Walker that I really thought about how blessed I have been and how much I have taken their role in my life for granted. If only I had listened to them and appreciated their messages as Anne has. The Power Of The Cat is a heartwarming and emotional journey into Anne's life and the lives of her many moggie friends. From a young child Anne was blessed with the presence of cats. As the years passed she learned to listen and learn and tune into the inner soul of her companions. Through this she has been touched in many ways, giving her the ability to write of her experiences and encourage others to embrace and respect an animal that is often criticised, forgotten and easily discarded. Having a child with Autism I have seen the special bond that a cat can hold and the love, acceptance and understanding that it can convey. Until today I had never really understood this bonding that only a selected few of our cats have had with my son. Over the years I have brushed it off as 'one of those things that happens in life'.The therapy that these few cats have offered him over, with their unspoken understanding of his meltdowns and their soothing touch when no one else is allowed to touch, was misunderstood until I read The Power Of The Cat. Anne has helped me accept and understand what I knew I was seeing but thought impossible. I now understand why some cats have chosen to shrug my son off but others have just arrived and provided the much needed therapy. We currently do not have a cat in our life, to the disgust of my son, who tells me daily that he needs a feline friend. 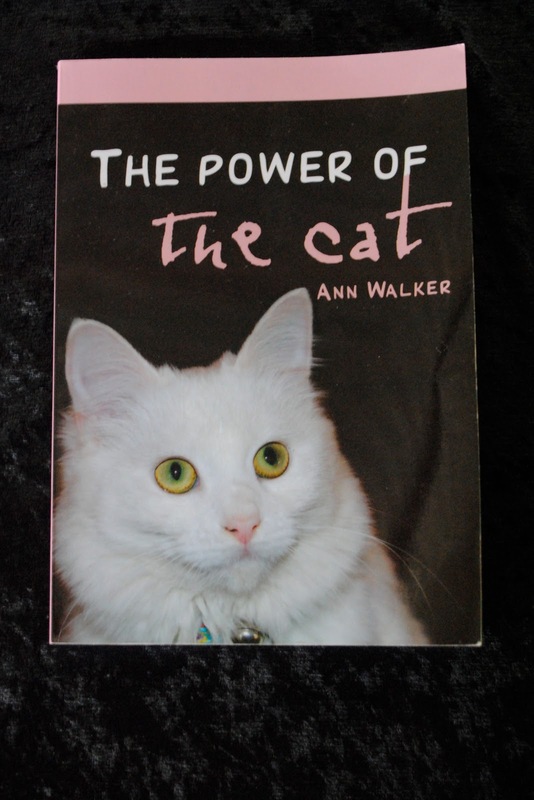 Through The Power Of The Cat Anne Walker has given me a deeper understanding of the true meaning of a cat in my sons life and the special healing powers that they hold. The power of the cat is a tribute to all cats that roam our land. It speaks of them for them. It reaches deep into their soul giving humans an insight into their thoughts, feelings and the love they have to offer. It shows how we as humans are blessed to be given the opportunity to share our lives with them. Cats come into our lives and cross our paths for many different reasons, some often unknown, but touch our lives even if only for a second. From her first cat Mrs Muggins, who walked into her life one sultry summer Sunday when she was young, to Lily the last cat spoken of Anne is able to spin a web of intrigue and amazement at the abilities and understandings of the cat. Cleverly written The Power Of The Cat is able to weave history and knowledge of the cat and cat breeds into stories of Anne's life. From the day they arrive into her life until well after their death all of Anne's cats have left an impression and meaning to their being. Through Anne's stories it seems there is no coincidence in the arrival of a cat in ones home, well definitely not Anne's home. I highly recommend this book, even for the non cat lover. It is touching, moving and enlightening. More a book of the life of Anne Walker and her feline friends than a book of cats, it is sure to leave a pleasurable impression in the mind of any reader. Anne writes with truth, colour and detail that touches your heart and leaves you feeling as though you have been blessed by being given the opportunity to be part of the life of a furry friend. Coloured photos leave you wanting to stroke and cuddle the feline friends and take one home. Loving and loyal, devine and devilish The Power Of The Cat has left me with a deep understanding and respect for the loving moggie. Anne has taught me to respect and listen to all creatures great and small and to open my heart to the understanding and respect they deserve as a species that shares this vast land with us.